Drone footage gives us a unique new way of looking at the world. Not long ago, the average person didn't have the means to observe life from above. Drones, however, offer a relatively cheap and accessible bird's-eye view to almost anyone. YouTube is full of stunning aerial footage of landscapes and other drone eye candy. But you'll also find some pretty weird drone videos out there. From clowns in unexpected places to a too-close shark encounter to a sobering tour of Chernobyl, YouTube offers some disturbing drone footage. Ominous music often contributes to the unsettling mood. Some of these videos might be hoaxes, but many of the creepiest things captured by drones are all too real. Bigfoot sightings are common in the Pacific Northwest, but Salt Fork State Park in Ohio allegedly boasts its own Sasquatch. The storied ape-like creature, a rumored resident of the Buckeye State since the Revolutionary War, has been sighted almost 40 times in the park since the mid-'80s. 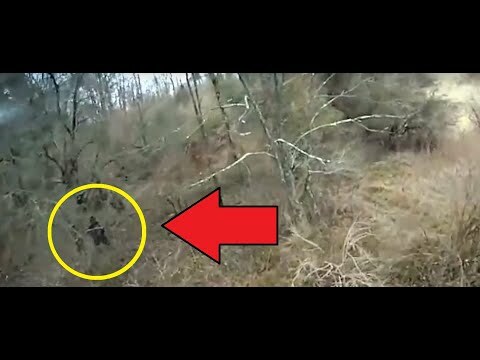 In 2017, a drone operator claims to have spotted Bigfoot while flying his craft over the park and has the video to prove it. In the video, look to the left of the screen to see a black figure with arms raised at the 1:49 mark. But is it Sasquatch or an errant hiker? The black-eyed children of Cannock Chase Forest in Staffordshire, England, are rumored to be the ghosts of those who succumbed to a diphtheria outbreak in the 1800s. They're also said to be the victims of Raymond Morris, who took the lives of several children in the 1960s. 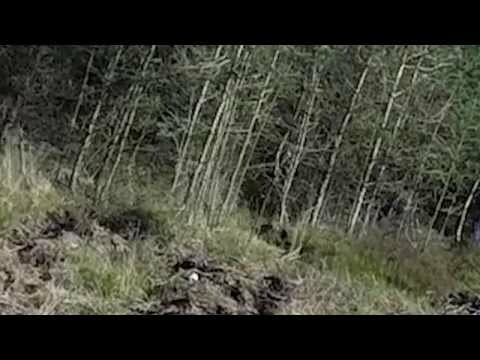 Cannock Chase is supposedly rife with paranormal activity, and a quadcopter drone may have recorded one of the Cannock Chase ghosts as it flew past. See how quickly you can spot the young girl in the white dress. Sometimes a drone has to take one for the team, especially if the team is made up of National Geographic explorers and scientists. 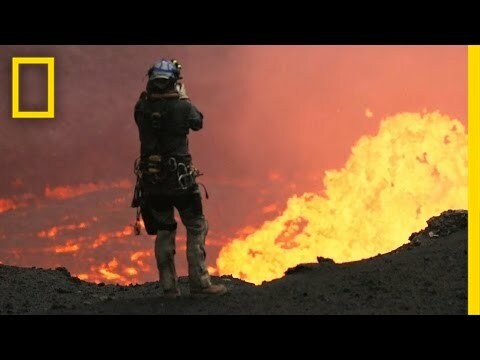 Watch as they sacrifice two drones to get up close and personal with the very active Marum Crater on the Ambrym volcano in Vanuatu. The volcano has a 7.5-mile-wide caldera, and its active craters contain ever-flowing lava lakes. 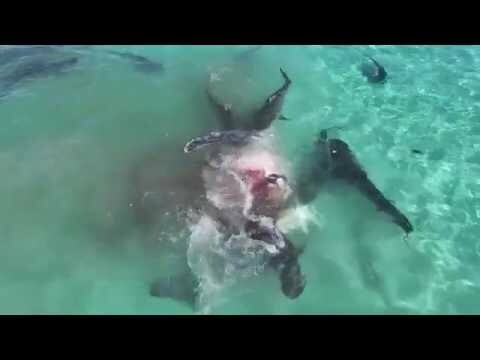 In 2016, tourists traveling to Dirk Hartog Island in Western Australia had experience of a lifetime: They watched as a group of tiger sharks ripped apart a humpback whale carcass and turned the blue waters around them bright red. Abrolhos Cruises sent up a drone to record the incident, calling the spectacle “something to show and tell the grandchildren."